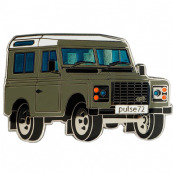 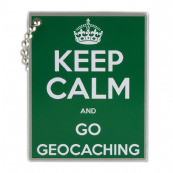 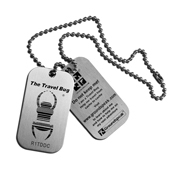 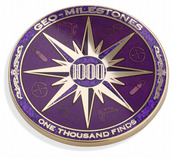 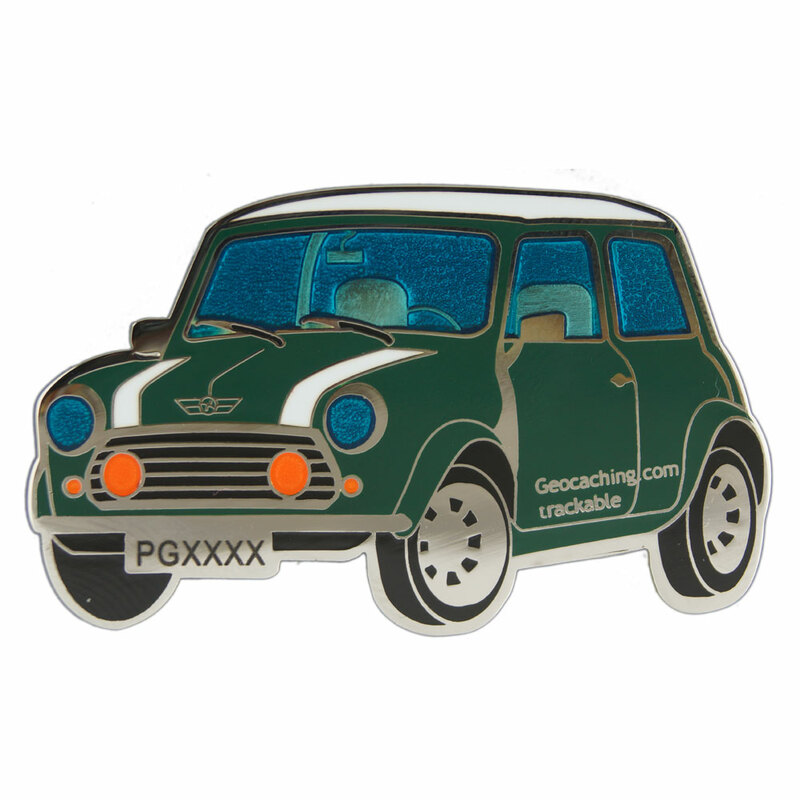 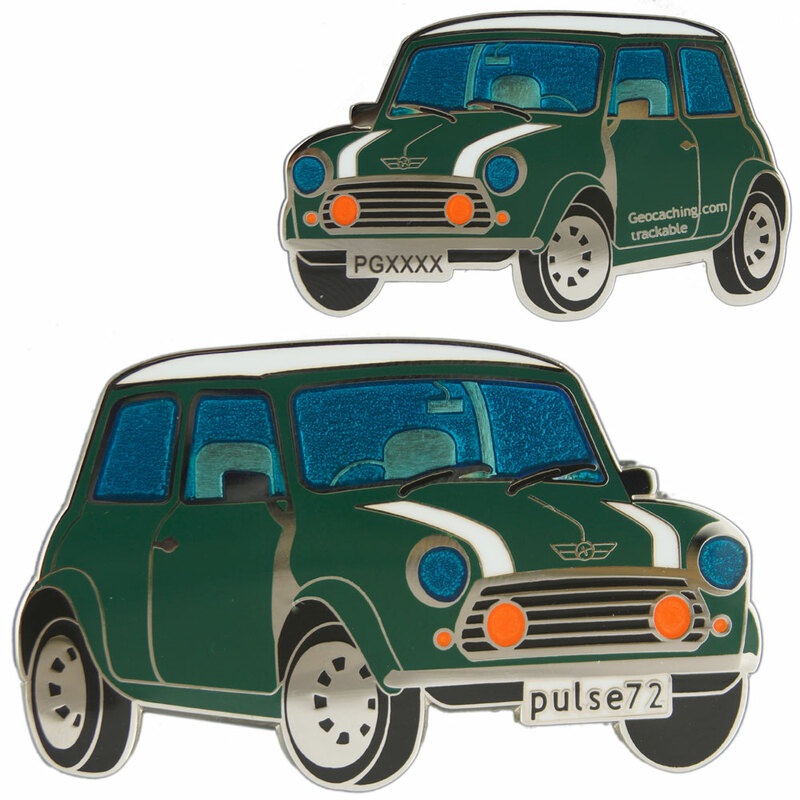 Pulse 72 Geocaching have made this Geocoin in the style of a classic Mini! 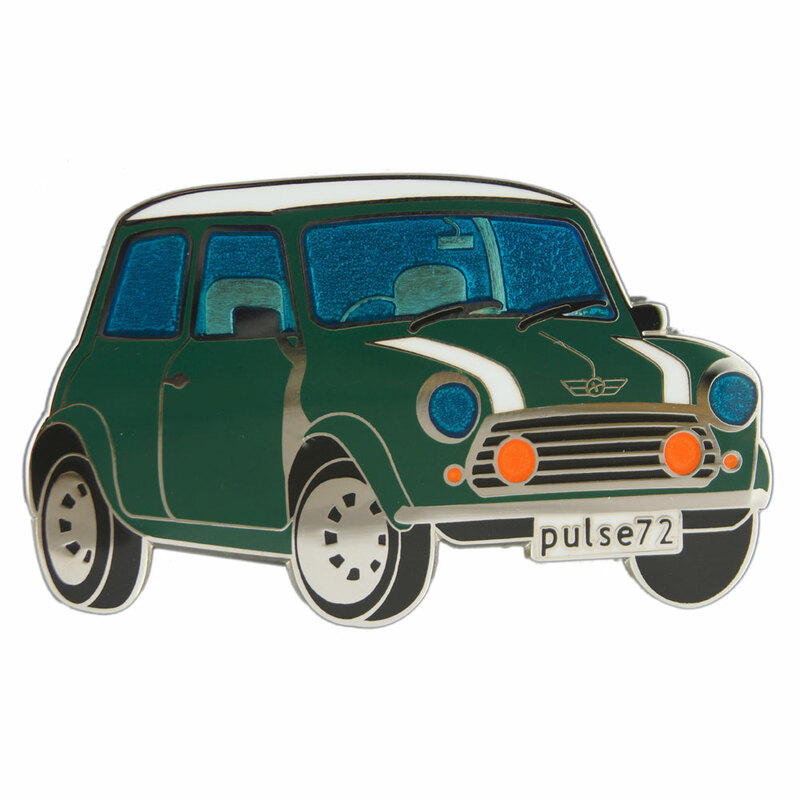 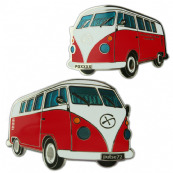 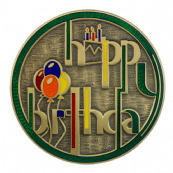 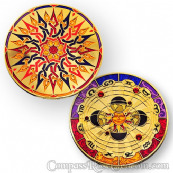 The coin has lots of detail to faithfully represent the style of a classic Mini. 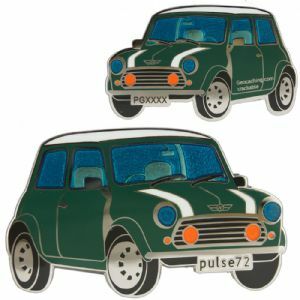 5 x 3 cm and 3 mm thick.